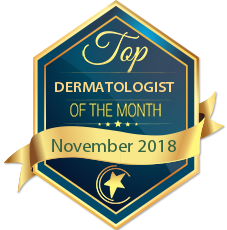 Services Offered: Cosmetic Dermatology, Medical Dermatology Dr. Pilest was named the Dermatologist of the Year by the Consumer Business Review. 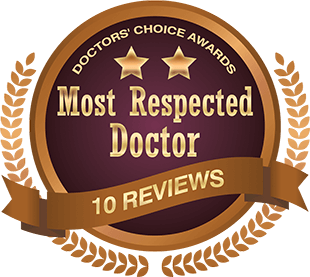 He was chosen as one of the Best Doctors in Orange County by area physicians. Additionally, he is listed in the “Best Doctors Book” for 2000-2001 and 2004-2005. 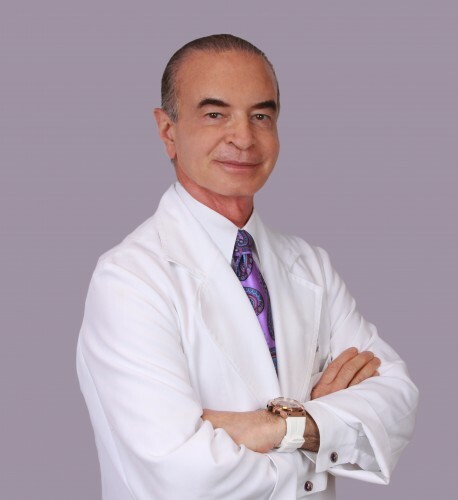 I have known Dr. Prilest for many years, and I can tell you that he is one of the best dermatologist in the world. His skill and innovative thoughts are sought after. Beyond this, he is great to his patients and colleagues. I recommend him wholeheartedly. Dr Pilest is known among dermatologists for his artistic eye and attention to keeping up on the latest in laser surgery and injectables. His patients love his friendly demeanor and excellent results. I have known Dr. Pilest for many years. He is an excellent dermatologist and pioneer with many cosmetic dermatology procedures. I would highly recommend him to patients. I have known Dr Pilesst for ten years. He is a wonderful cosmetic dermatologist. His patients love him and he gets them excellent results. He has been a great colleague and truly deserving of this award. 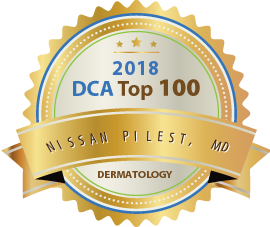 I have had the pleasure of knowing and working professionally with Dr. Nissan Pilest for nearly 40 years. He is an extraordinary physician who has abundant knowledge in his specialty of Medical Dermatology and Cosmetic Dermatology. He has always been at the cutting edge of new, clinically proven, and safe technology which he offers to his large patient data base. I have visited his Clinic and I know how devoted he is to his specialty and to his patients. I have sought his advice regarding clinical issues and he has always been immediately available, providing insight and guidance with state of the art information. I highly recommend for consideration for Recognition as a proven expert in his field with more than 40 years of experience including academic ties. I have known Dr. Pilest for many years, he is a highly respected friend and colleague. He has a keen aesthetic eye that his patients have come to rely upon. He is a leader of Dermatologists in Orange County and his innovative skills have positively impacted his patients. Dr. Pilest is a respected dermatologist with a wealth of knowledge and experience. I can’t think of a better doctor to receive this award. Conratulations! 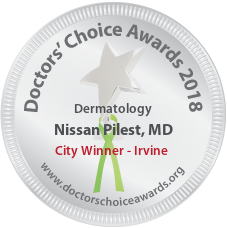 Dr. Pilest is a highly trained top dermatologist in our area. I highly recommend him for this award. Congratulations! Dr. Pilest is an outstanding physician stays current cutting trends in dermatology. He is a successful family man and has a wonderful practice in Irvine. Dr. Pilest is a highly skilled cosmetic dermatologist. Always on the forefront of the newest procedures in cosmetic dermatology. He is extremely passionate about his craft and that comes across in his treatment of patients. Congrats ! Talented and compassionate doctor. Highly skilled in cosmetic dermatology. Best dermatologist I have ever known. He can look at a skin lesion for few seconds and he tells you what it is. In 30 years I have known him he was always right. My entire family goes to him and I refer all my patients with skin problems to him. Dr. Pilest is a highly trained well respected dermatologist. His patients as well as the medical community have nothing but positive things to say about him. I highly recommend him for this award! very well deserved! Congratulations! 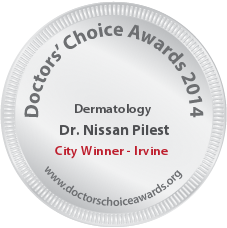 Dr. Pilest is a highly skilled and experienced dermatologist. I have know him to make complicated diagnoses almost at a glance. His cosmetic dermatology skills are superb, as I have learned from several of my patients who went for his services. He highly merits this award. Dr. Pilest is a highly skilled cosmetic dermatologist. He has a very aesthetic eye and achieves optimal results. He has a great bedside manner and truly cares for his patients. I can’t think of a better doctor to receive this award.